The U.S. Department of Transportation (DOT) today assessed a civil penalty of $2 million against Delta Air Lines for violating rules protecting air travelers with disabilities. This civil penalty is the largest penalty ever assessed against an airline by the Department of Transportation in a non-safety-related case. The DOT requires airlines to provide assistance to passengers with disabilities while boarding and deplaning aircraft, including the use of wheelchairs, ramps, mechanical lifts and service personnel where needed. Carriers also must respond within 30 days to written complaints about their treatment of disabled passengers, and specifically address the issues raised in the complaints. In addition, airlines must properly code and record their disability-related complaints in connection with required reporting to the Department. An investigation by the Department of Transportation’s Aviation Enforcement Office of disability complaints filed with Delta and DOT revealed many violations of the requirement to provide assistance getting on and off the airplane. The carrier’s complaint files also showed that it frequently did not provide an adequate written response to disability complaints from passengers. The Aviation Enforcement Office further found that Delta also failed to properly report each disability complaint in reports filed with the Department. Of the of $2 million penalty, $750,000 must be paid by the carrier and up to $1,250,000 may be used to improve its service to passengers with disabilities beyond what is required by law. Delta may target up to $834,000 of the civil penalty amount toward the development and implementation of an automated wheelchair tracking system at the carrier’s major hub airports. Up to $236,000 may be used toward developing and distributing customer service surveys for passengers with disabilities to rate Delta’s accommodation services and provide specific feedback to the carrier on how it can improve. In addition, up to $150,000 may be used to expand audits of the carrier’s compliance with Air Carrier Access Act rules and for consultation to help improve the quality of Delta’s services to passengers with disabilities at airports and up to $30,000 to enhance its website to improve air travel accessibility. 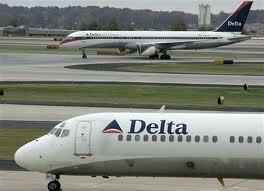 The actual costs of these improvements by Delta will be significantly greater than the credited amounts.